1Preheat oven to 200ºC/180ºC. Line two oven trays with baking paper. Combine sweet potatoes evenly on trays. Toss with olive oil to coat and season. Bake for 35-40 minutes until golden and tender. 2Meanwhile, drizzle steaks with extra oil. Sprinkle both sides with salt and pepper. Cook steaks in a large oven-proof frying pan over medium-high heat for 2-3 minutes each side until browned. Transfer pan to oven and cook for about 5 minutes until cooked to taste. Rest steaks for 5 minutes. 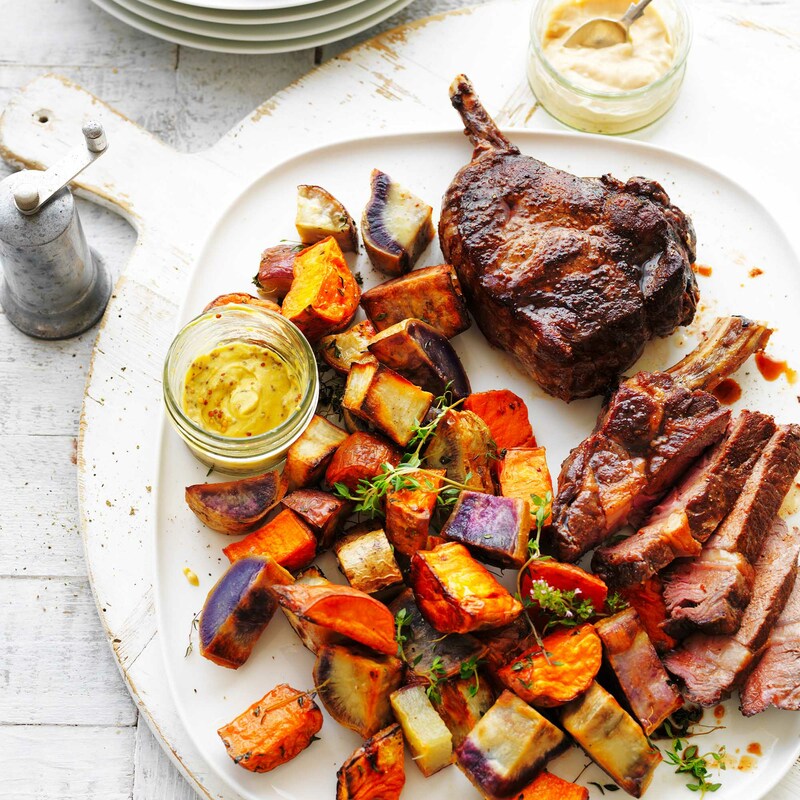 3Serve steaks with potato medley and mustard.